Juventus are reportedly eyeing a move for Chelsea defender Andreas Christensen in the event that Medhi Benatia leaves for Monaco. The 22-year-old has found playing time with the Blues hard to come by on a regular basis so far this season, as he has been limited to 12 appearances in all competitions. 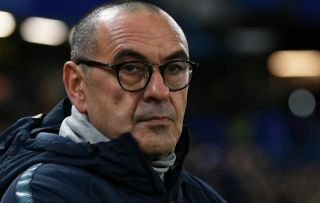 Mostly used by Maurizio Sarri in the Europa League, it could force him to consider his options if he is able to secure a more prominent role elsewhere. According to Calciomercato, via the front page of Friday’s edition of Corriere dello Sport, Juventus are being linked with a swoop, as they could be forced to act if Benatia leaves for Monaco. Joining the Turin giants would of course give Christensen the opportunity to win major honours and to train alongside the likes of Giorgio Chiellini and Leonardo Bonucci to continue to improve and develop his game. However, it could be argued that he would be swapping one bit-part role for another as the Italian stalwarts remain fundamental pieces in Massimiliano Allegri’s side, along with competition from the likes of Andrea Barzagli and Daniele Rugani. With that in mind, it has to be questioned as to whether or not a move to Juve would be a smart choice for the Dane, and perhaps he is better off continuing to fight for his place at Stamford Bridge or consider an alternative solution. Time will tell if an official bid is lodged or not, but with time running out in the transfer window, Juve will surely want to avoid losing Benatia if they are unable to immediately bring in a replacement to fill the void in the squad that he would leave behind.